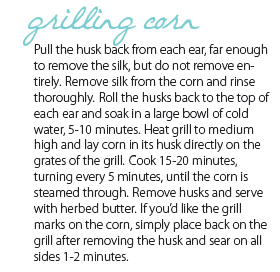 Grilling corn on the cob is so simple, and so good! Of course the charcoal grill adds so much flavor to the corn, but grilling on the gas grill is also fantastic. Enjoy!